Getting a CDL in Arkansas is important if you will be employed as a commercial driver in the state. Commercial vehicles are those whose gross vehicular weight rating is more than 26,000 pounds or is a commercial passenger carrier with at least a 15-person capacity including the driver. You will need to pass the state’s requirements if you wish to acquire your license in the shortest possible period. 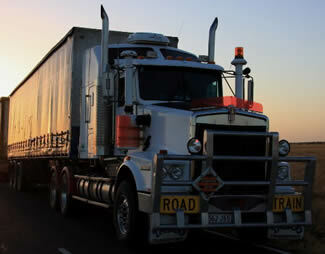 Undergoing training is not required as long as you can pass the states written and road tests for commercial driving. The first step towards gaining your CDL is to know what the state requires for those who will be driving commercial vehicles on the road. You can do this by reading the Arkansas CDL Manual which is available online. The manual contains all the necessary information that you will need to pass the written and skills test. You may need some additional sources however if you want a more thorough understanding of the parts of the vehicle as well as of maneuvering and maintaining it. You will learn about driving skills, traffic rules and signage, as well as safety measures that you can do in different circumstances. To apply for the written tests in Arkansas, you have to bring with you 2 or more copies of IDs, a marriage license, tax return, or a school ID. You should also pass the state physical and visual exams to determine your capability of driving safely on the road. You also need to complete an application form which you may need to request from the DMV office they are not available for online download. It is important to have a clean driving record and to have good comprehension skills for road signs. There are different types of trucking licenses in the state of Arkansas. They have the Class A, Class B, and Class C commercial vehicles. They also have different types of endorsements for those who will be driving Double/Triple Trailers, Passenger, Tank Vehicle, Hazardous Materials, and School Buses. If you will be driving interstate, you will have to be at least 21 years old and should also be in a good state of health and visual acuity. You need to pass the written tests first before you can be allowed to take the road test which requires actual driving on different types of road situations. The process to getting a CDL in Arkansas can be a long one. But if you can complete the requirements early on, you will have a shorter waiting period for the license. To get started fill out the application form and present the necessary IDs that will be required for your written test. You will have at least 6 months to take the road test after you pass the written exam. Make sure to read the Arkansas Commercial Driver’s License Manual before taking any of these tests to assure a passing rate. There are walk-in test centers around Arkansas that you can go to, to take the written tests and you can also request for interpreters if you need them. Getting a commercial driving license (CDL) from the Arkansas DMV is essential to work as a truck driver in this state. Before you start looking for a truck training school or program, you must make sure that you meet the license requirements. In this line of work, having a drunk driving charge is a career killer. You must have at 5 to 10 years since your conviction before any company would even consider hiring you. Although it is legally possible to get a CDL even without attending an accredited truck driving school, most of those who do find it rather difficult to pass. Most companies would not hire you even if you pass the CDL exams if you skipped proper training. Getting a CDL in Arkansas involves two parts: taking a written exam and doing a road skills test. Working a truck driver means being on the road for long hours. You can look forward to a competitive salary range. The medical salary range for Arkansas truck drivers is about $34,300 per year. You can earn as low as $24,400 or as high as $57,300. To ensure that you land the best jobs available, we’ve listed the best truck driving schools and programs on this page. C1 Truck Driver Training has been providing high-quality CDL training to the residents of Little Rock and its surrounding communities since its establishment in 2000. 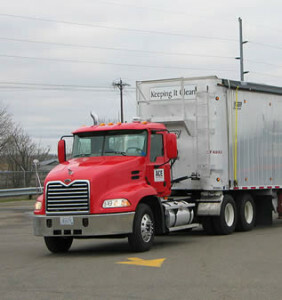 Its 3-week truck driving school teaches CDL driving skills to truck drivers with a variety of backgrounds. Roadmaster has over 20 years of experience training over 70,000 students. Their CDL training program lasts 3-4 weeks, which includes examination preparations and flexible schedules. Not only will their students get the training and confidence they need to be successful in this line of work, they will also become part of a community of Roadmaster graduates. If you know of a truck driving training school in ARkansas that is not on this list please let us know through our contact form. Please include the full name, address, and phone number of the school when submitting.